The untitled fourth Avengers movie is scheduled for release in 2019, and the only thing we know about it is that, it’ll be the sequel to, as well as, the end of next year’s battle against Thanos in Avengers: Infinity War. 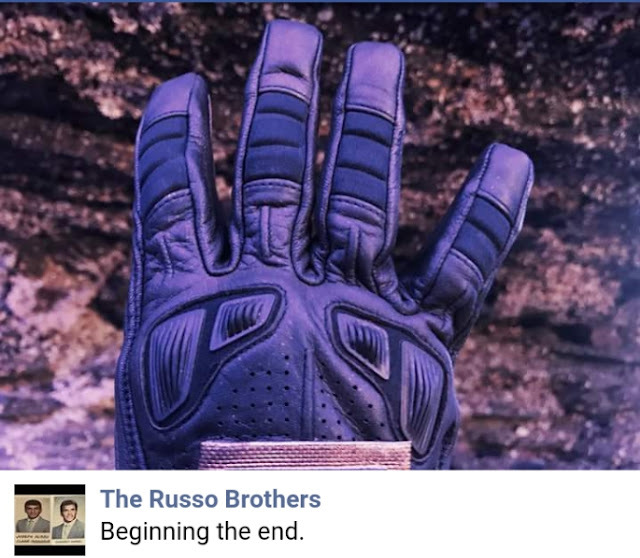 Now that Avengers: Infinity War is heading into post-production, it only makes sense for the untitled Avengers 4 to begin filming, and the Russo Brothers have informed fans that filming has now begun through a post on Facebook. Check out the image with the scary caption at the end of the post below. The movie is not only going to see the final fight between Thanos and the whole MCU, it will also mark the end of the current phase 3 of the cinematic universe. It also stands to reason that there is a probability that some of our current and favourite heroes may not make it out alive as many of the major stars have their contracts nearing their expiration dates. The image posted to Facebook looks like it could be one of Captain America’s gloves. Which may either signal the end of Steve Rogers being Captain America (by changing his name) or it may be the actual death of Captain America in the MCU. Either way, we’re guessing that whatever other pictures they send out over the next few weeks will be just as vague. According to Cinemablend, one of the reasons that Avengers 4 doesn’t even have an official title is because it would be some sort of spoiler for the previous film, so don’t expect to see your favorite MCU actors on the set of the new film. While we do expect Avengers 4 to be the last MCU movie for several characters, it’s also possible that part three could actually be the last movie for some, just to keep us all on our toes.